This new cook top is a highly innovative cooking concept that combines the culinary process with all the connectivity you have grown accustomed to while fusing them into one flexible user experience. 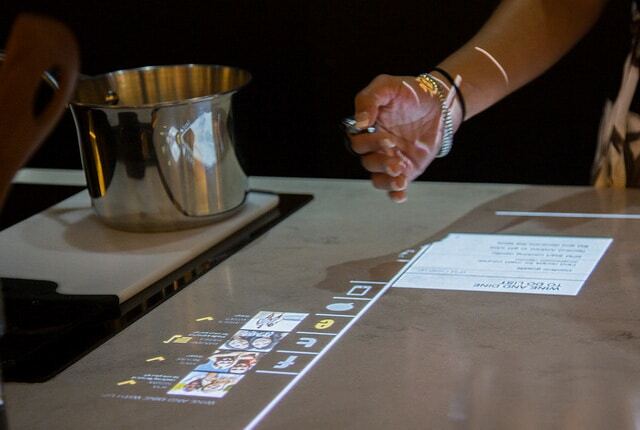 This cooktop concept gives the user access to all their recipes, music, e-mail, social media feeds, and more all without having to step away from the fantastic dish you are working on! 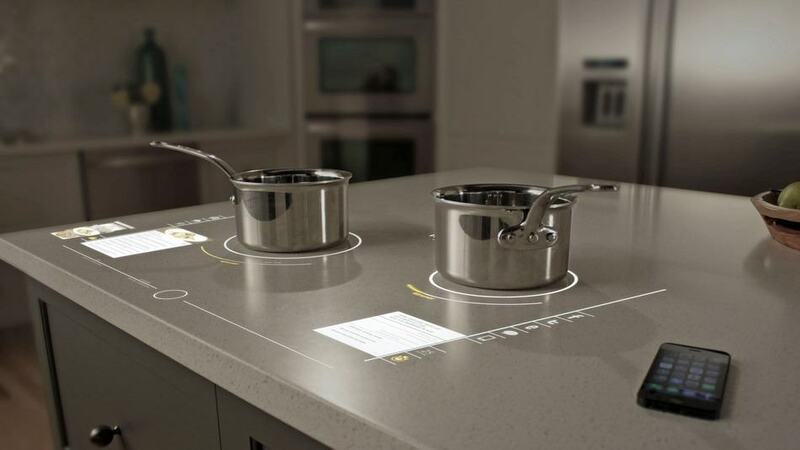 As this project is still just a concept, I had to work closely with Whirlpool and other vendors to develop an efficient solution for presenting this Interactive Cooktop as a production ready appliance on the show floor at CES 2014.